This is a once in a lifetime opportunity to buy this family compound. Property consists of 2 year round homes. The main house has an open concept great room with views of crystal clear and ice cold spring fed Weir Pond. Home has a fully equipped kitchen with bar seating, a full bath with laundry, upstairs there are 2 good sized bedrooms with storage. Home has a wrap around covered porch and is nicely landscaped with perennial flower beds and high bush blueberries. Add to this a fully functional 450 square foot open concept tiny house with a 3/4 bath. Use it for overflow, rental, or go in halves with a friend and have this idyllic location to share. Current owner has lived here year round for 20 plus years. This is a special place in the Maine Woods that needs to be seen to be appreciated. Home is 100% off grid and has a whole house generator that meets the needs of both homes and recently owner has installed several solar panels to run electronics and charge phones. Stay connected via satellite internet and television, or unplug and relax on your 3 acre lot with 300 feet of shore frontage. Weir Pond is a 51 acre cold water pond that covers 2.4 miles. Pond is a fishery for Brook Trout, Yellow Perch, Chain Pickerel and other species. Pond has a maximum depth of 25 feet. The pond has two extensive tributaries that also are fisheries for brook trout and a great place to canoe or kayak. Homes are located in the town of Lee Maine a friendly low crime low tax community that has an international high school, ski area, several lakes and streams, access to miles of marked ATV and Snowmobile trails, community events and activities and is close to the service center of the Lincoln Lakes Region, Katahdin Region, Bangor Region and is a 5 hour drive from Boston. 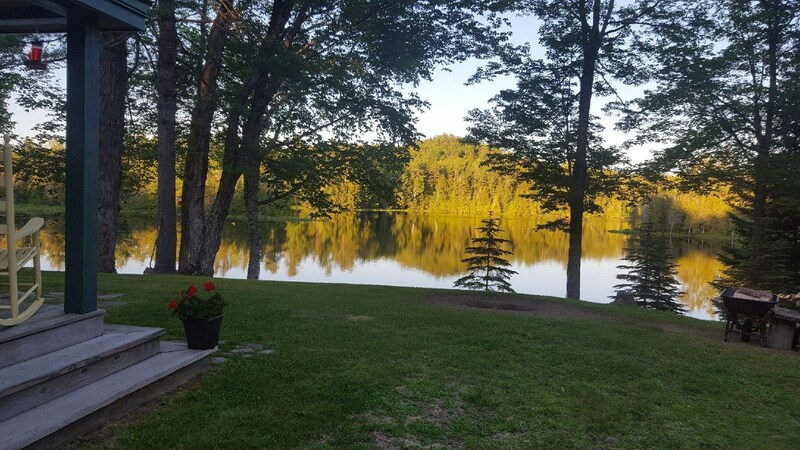 As a native and expert of an area of Maine known for its lakes, rivers and open space, Traci excels at successfully selling country homes, waterfront, vacation and recreational properties all over Penobscot County. Traci believes the first step in helping people is to understand their wants, needs, and goals. That requires listening, asking the right questions, and of course providing clear and honest answers to their questions. Traci developed problem solving skills as a social services case manager that she now uses to help meet her client's real estate needs. Satisfied sellers frequently share accolades of their experience with Traci with the United Country McPhail Realty staff. Traci also appreciates the opportunity to assist those who are relocating to the Lincoln Lakes Region. With her connections and service as the former director of the Lincoln Lakes Region Chamber of Commerce she has the knowledge and resources to share everything from neighborhood and school information to details about services and economic development projects on the horizon. Thus, along with her listening skills and patience, buyer clients get the benefit of her thorough knowledge of the area. Traci lives in Lincoln, is a 13th generation Mainer and is the mother of two adult children. Traci’s son TJ and his wife are expecting a baby soon. Traci is very excited to become a grandmother! “Traci Gauthier is an incredible real estate agent. She treated us like our property was her own. She is professional and definitely knows home real estate. Traci sold the home we had lived in for 28 years. She has a great way of communicating values such as low taxes and location that is truly an asset. When we decided to buy, she listened to what we wanted and worked to find us just the perfect home. We would highly recommend Traci Gauthier and United County Lifestyle Properties of Maine.” David and Cheryl Russell.